Trained as Physical Educator and Physiotherapist in Brazil. In 2007 I moved to New Zealand, lived in Tauranga for a few years where I did what immigrants often do, worked in many areas until being able to get back to my passion. My experience as caregiver and physio assistant at a rest home taught me a lot. It was in 2010 that I got back into massage in a clinic in Papamoa. In 2012, moved to Auckland and decided to open Release and Unwind Therapeutic Massage with the intent of becoming a go to place for quality massage, initially working on my own and then building it up by taking passionate and skillful therapists on board, in order to offer a wider variety of skills to you. How long have I been doing massage? I can say it has been a while. Started when I was still very young and was the chosen one of my sisters to give my dad a massage after a long day work at the farm. I always enjoyed it, had natural talent and interest in the human body but had not imagined that one day I'd be owning my own massage therapy business in the other side of the world! Some of my favorite techniques to use are Deep Tissue and Trigger points, and more recently amazed by the effectiveness of Myofascial Release. I also learned over the years that some people respond better to a more relaxing session, as often our busy lives and higher stress level can be the reason behind tension and increasing chances of injuries, tension and pain. During my sessions I will suggest what the best approach for your issues might be but also take your opinion, needs and previous experiences into consideration. It's important for you to feel in control and to be reassured that your input and feedback is valuable, specially when it comes to pressure applied during the session. I am also developing a growing interest in how mindset and emotions affect the body. After experiencing depression myself, I became more open minded to the effect of alternative therapies such as energy work and the importance of mindfulness. Having a Physio background has been great as as my understanding of anatomy and physiology offer a solid background for the work I do, but my own life experiences have lead me to also work in a more intuitive manner and trust the healing abilities that we have access to when tuning in to our higher mind and purpose. I am originally from Japan and have been a massage therapist in New Zealand for over 7 years. My Diploma in Aromatherapy, Certificates in Myofascial Release alongside with my hands on experience shaped me into a resourceful therapist, deep tissue massage being one of my top skills. I aim to understand your current issues, seeing the body as a whole, not just the area of pain and providing a tailored session for your needs on the day. I believe self care is important so will suggest what you can do at home to help with your areas of concern. I firmly believe that during the treatment, there is an energy exchange between the clients, the universe and myself. When this energy exchange is flowing well, the clients gets the best result in a more holistic way, affecting body, mind, soul. Becoming a massage therapist has changed myself and the view of life itself. I became more passionate about our human body, health, diet and the balance between body, mind and soul. Our body is sacred like a temple, treat it with respect and gratefulness. Zane has worked as a massage therapist for six years. He studied at the New Zealand College of Massage in Auckland, graduating with a Diploma in Health Science - Therapeutic Massage in 2012. During this time Zane has enjoyed working with a wide range of people, from body builders and athletes to office workers. Zane is a qualified personal trainer and this complements his work as a massage therapist as he is qualified to help his clients correct muscle imbalances by prescribing strengthening exercises for weak muscles, and stretches to lengthen short muscles. Nisha is a professional Acupressure Therapist who also comes with a vivid range of experience in holistic health care. She completed her MD (Masters in Diploma) in acupressure in India. An avid power yoga practitioner, she believes in approaching the healthcare & well being through natural means. She is also a Level 1 Reiki Tummo practitioner. She was born in India and has received all of her education there. Her inclination towards alternative treatment therapies developed when facing a recurring knee pain landed her in an acupressure clinic. The effective results she received with the treatment and counselling there led her to decide to make substantial changes in her lifestyle & career choices. Quitting her software engineering career at IBM, she decided to study acupressure and learn yoga. She has been practicing these since early 2015 and moved to New Zealand early in 2017. Nisha likes learning about her you in terms of your lifestyle, habits and then works with you to develop a plan to treat your ailments. Often beginning an acupressure session with reflexology, she works her way up in establishing a treatment plan based on your response to the pressure application to the reflex points and their self-expression of ailments. She also has a budding interest in heart meditation & practice of reiki and intends to pass on the healing benefits to you while using any of the acupressure techniques. Thelita moved from South Africa to New Zealand in 2012 with her family. She found her love for Massage Therapy during her current Physiotherapy studies. During an opportunity to be a Massage Therapist at a sports event, her love for promoting healing and relaxation in a patient centered setting was established. 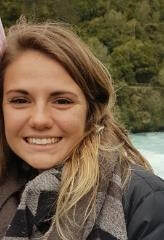 As her interest evolved, she has completed a paper in Massage and Touch Therapy as part of her studies. She has worked with athletes as part of the Release and Unwind Team at the Softball World Master Games and worked with athletes at the Touch Rugby World Master Games. Thelita is also part of the massage team for the Vodafone Warriors. Her goal is for every patient to leave the session feeling refreshed as well as being pain free, moving better and feeling restored. Thelita focuses on the need of every individual and will aim to apply the techniques which she believes will benefit each unique client situation. 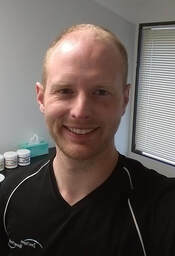 Travis Robson is a very versatile, skilled, and passionate therapist whose practice is directed towards the use of various techniques for reducing musculo-skeletal dysfunction. He was born in Vancouver, BC Canada and has been following in his family’s footsteps taking the holistic approach to wellness lifestyles. Travis joined this profession in 2007 where he attended the West Coast College of Massage Therapy in Vancouver studying for over 2 years. He utilizes techniques including deep tissue, trigger point, myofascial integration and muscle energy techniques to help alleviate muscle-skeletal symptoms involved with injury and overcompensation. He is very forward with educating his patient’s with homecare routines to better their ongoing journey to wellness. His goal is to not only to target the underlying conditions, but compensate for the entire body as a whole. His techniques used are intent on reducing soft-tissue lesions to a more functional and pain-free state. Travis has been practicing for over 8 years and is currently attending the New Zealand College of Chiropractic to continue his journey in Health and Wellness. He loves drumming, dance, and skiing. He has been involved with nutritional and fitness journeys including a new found love for Yoga & Meditation. ​Give yourself a chance to unwind, heal and be back at your higher potential.